The quest for intellectual growth and self-improvement through education has occupied yesteryear’s luminaries like Bertrand Russelland modern-day thinkers like Sir Ken Robinsonand Noam Chomsky. 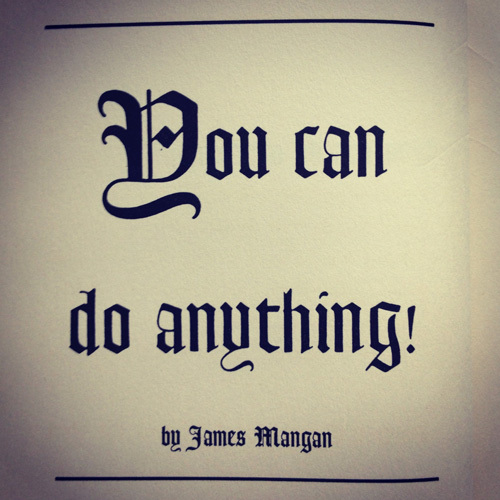 In 1936, at the zenith of the Great Depression, the prolific self-help guru and famous eccentric James T. Manganpublished You Can Do Anything! 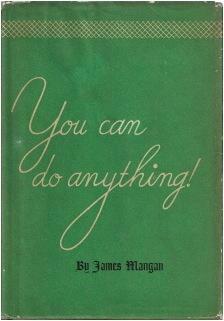 (public library) — an enthusiastic and exclamation-heavy pep-manual for the art of living. Though Mangan was a positively kooky character — in 1948, he publicly claimed to own outer space and went on to found the micronation of Celestia — the book isn’t without merit. Among its highlights is a section titled 14 Ways to Acquire Knowledge — a blueprint to intellectual growth, advocating for such previously discussed essentials as the importance of taking example from those who have succeededand organizing the information we encounter, the power of curiosity, theosmosis between learning and teaching, the importance of critical thinking(because, as Christopher Hitchens pithily put it, “what can be asserted without evidence can be dismissed without evidence”), the benefits of writing things down, why you should let your opinions be fluid rather than rigid, the art of listening,the art of observation, and the very core of what it means to be human. Most of us quit on the first or second attempt. But the man who is really going to be educated, who intends toknow, is going to stay with it until it is done. Practice! You never learn much until you really want to learn. A million people have said: “Gee, I wish I were musical!” “If I only could do that!” or “How I wish I had a good education!” But they were only talking words — they didn’t mean it. Desire is the foundation of all learning and you can only climb up the ladder of knowledge by desiring to learn. If you don’t desire to learn you’re either a num-skull [sic] or a “know-it-all.” And the world wants nothing to do with either type of individual. You may be surprised to hear that you already know a great deal! It’s all inside you — it’s all there — you couldn’t live as long as you have and not be full of knowledge.